According to a 2017 survey performed by the Substance Abuse and Mental Health Services Administration, a staggering 19.7 million Americans, ages 12 and up, battled addiction that year. Of these, only 4 million received treatment. Given the large number of drug-related deaths each year and the lowered relapse rate with treatment, it is imperative that those suffering from substance use disorders get proper and timely treatment. Since its introduction in the 1960s, intervention has been a critical component of drug and alcohol treatment. Intervention is a collaborative effort wherein those affected by a person’s substance abuse urge them to seek professional help. The Johnson Model is one of the most common intervention models used today. Dr. Vernon Johnson, himself a recovered alcoholic, devoted much of his life to helping others overcome their addiction. 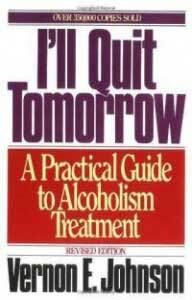 Perhaps his most significant contribution to substance abuse therapy was the introduction of interventions. Dr. Johnson did not subscribe to the popular belief of the time that an addict must hit rock bottom on their own to pull themselves out of their substance use. Instead, he posited that bringing together family and friends to directly confront the addict could urge them to seek treatment, thereby avoiding some of the more negative effects of deeper addiction. The purpose of the Johnson Model is threefold. The first is to confront the addict, forcing them to see how their actions are affecting those around them. Since it is easy for addicts to get lost in their habits and their fix, this can be a powerful tool, jarring them back to reality. The second goal is to show the addict that there are people who love them, support them, and want them to get better. The third purpose, a culmination of the first two, is to force the addict to get help, providing hard limits and consequences to the addict if they do not seek help. In the Johnson model, brought into the public eye with television shows like A&E’s Intervention, those to be involved in the intervention communicate with one another and a professional interventionist to stage the intervention. During the planning stage, the primary coordinator will reach out to as many people as possible to bring together a large support group for the addict. It is not uncommon for participants to have several meetings with the interventionist. A place and time are agreed upon, and the facilitator arranges to have the addict brought to the meeting place. The addict has no prior knowledge of the nature of this meeting, so some subterfuge is usually required to get them to the right time and place. During the intervention, each person will have a turn to speak to the addict. Participators are urged to have their talking points written down beforehand. During their turn, each person will tell the addict how they have been affected by their addiction, and what the consequences will be if they do not seek help. An example may be a mother telling their child that if they do not seek help, they must vacate their home, or a significant other stating that they will end the relationship if rehab isn’t attempted. In each case, the goal is to provide hard limits to the addict, urging them to get the help that they need. It is an emotional endeavor for all involved. Who is best helped by the Johnson Model? The Johnson Model is most suited for those who are either in denial about their addiction, or those who do not think their addiction is a problem. Many addicts believe that they have a handle on their substance use and can quit whenever they’d like, or that their substance use is a private matter and does not have an effect on those around them. The confront nature of the Johnson intervention strips that away, exposing the scope of the problem, and the hard-hitting manner in which this information is delivered is designed to be eye-opening to the addict. It strips away the ability to stick their head in the sand and ignore the effects of addiction. Another great candidate for the Johnson Model are addicts who also suffer from one or more mental health disorders. According to the National Institute of Drug Abuse, those who have mental illness are twice as likely to have substance abuse disorders. This comorbidity makes treatment even more complicated, and intervention even more necessary, as in many cases, it is the loved ones of the mentally ill addict who unknowingly enable their addiction, or make excuses for it based on the addict’s mental health. Drawing a hard line is beneficial to everyone involved, which is vital for long-term recovery, as those with a strong support system are less likely to relapse. How effective is this model of intervention? At its most simple, there are only two results of an intervention. The addict will accept the help he or she has been offered and attend rehab, or they will not. If the addict accepts help, they will attend a substance abuse rehabilitation center and complete the rehab program. If not, they will likely leave the meeting and may return to their former lifestyle. If the latter is true, it doesn’t necessarily mean there is no hope. Holding true to the consequences that were provided during the intervention is the next step. Statistics on the effectiveness of interventions are challenging to come by because there are so many factors that mitigate the data. The most important indicator of success is whether or not the addict follows through with treatment, and whether participants stand strong on the consequences they provided. Intervention is only one of many tools available, but it’s a strong step in the right direction. 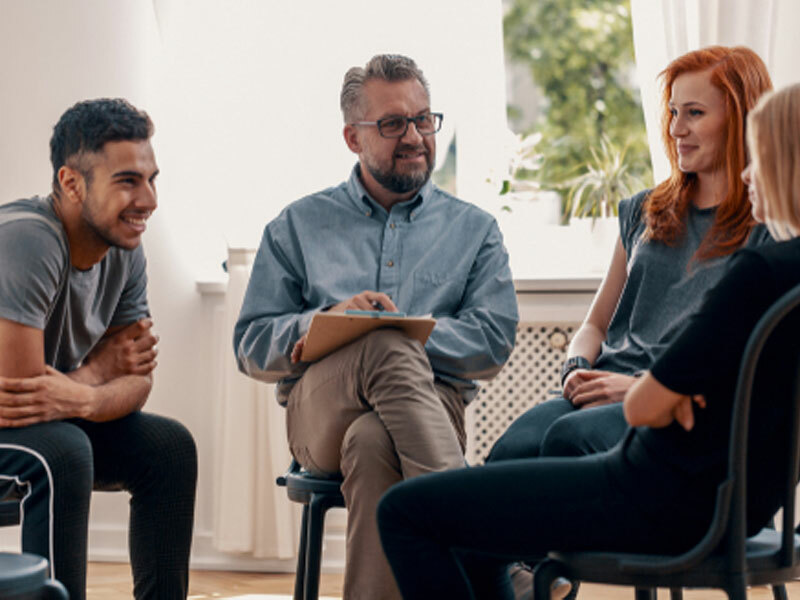 The first step to take for families hoping to help a loved one is to hire a professional interventionist who can guide you through interventions like the Johnson Model of intervention. A trained expert in this field can guide the whole process for the best possible chance to achieve success. In an emotionally-charged interaction like an intervention, the experience and objectivity that a trained professional provides are critical to keeping the meeting productive. See more on the different models of interventions other than the Johnson Model. Many addicts owe their life to an intervention that got them into treatment.